Agencies were caught off-guard by Instagram’s recent announcement of API changes coming in December, 2018. Every brand that is active on Instagram will be impacted by these changes, so it’s important to understand the context, the changes, and your options to continue interacting with your target audience. See what’s changing, what it means for your agency, and how it’s not all bad news. The biggest change coming in December 2018 is the removal of the public media endpoint. What does this mean? With the removal of public media endpoint, it means that agencies can no longer access content from public hashtags or handles. Only authorized Instagram business accounts, or posts that @mention the business account, will be accessible. 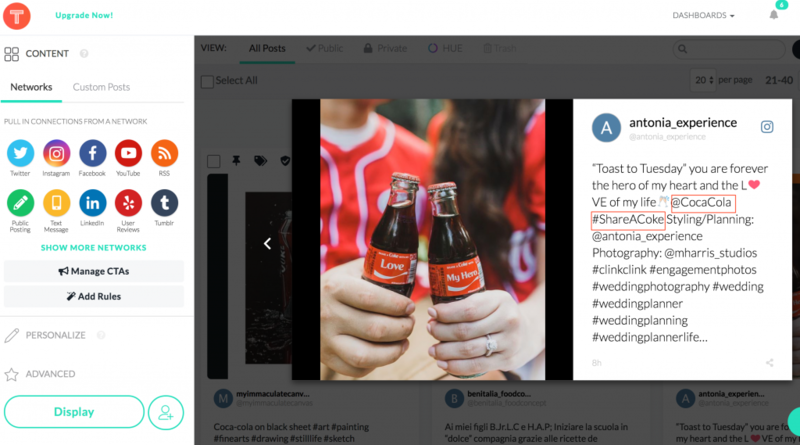 This change will have a massive impact on UGC campaigns, which right now do not need to connect to the brand’s Instagram business account. After December 11, 2018, all UGC campaigns must include an @mention to the brand’s Instagram. With this change, agencies can no longer check how many likes a post receives or check follow relationships (like who follows who). In July, Instagram reduced the amount of times a third-party apps that connects to their API can call Instagram data to 200 calls per hour, down from 5,000 per hour. Many agencies will not feel the impact of this change, since few are making anything close to 5,000 calls per hour. Third parties no longer have access to personal data in Instagram profiles, such as avatar, bio, follower count, post count, and name. Third parties cannot post on Instagram with this update. To learn more about these changes, and how they have impacted your agency, look to the official documentation. Ever since Facebook’s API was used by Cambridge Analytica to manipulate the 2016 elections, Facebook has faced widespread criticism and calls to protect user privacy. As a result of the controversy, Facebook-owned properties, like Instagram, face API changes that limit the amount of personal information accessible to third parties. In particular, the rate limit changes reduce the ability for illegitimate sources to use and collect large amounts of user data over time. Changes prevent bots from making false likes or mining the social media site to make profiles of users based on their likes. As mentioned above, these changes directly affect UGC campaigns. Starting in December, your agency will need to get users to include your brand’s account via @mention, instead of with a hashtag only. For example, if your brand was Coca Cola, and you were running a campaign whose hashtag was #ShareACoke, your followers would need to include BOTH @CocaCola and #ShareACoke for you to be able to access that content as a marketer. To encourage your users to @mention your brand, communicate the importance of this in future campaigns and make it clear that they need to include an @mention to participate. Make @mentions a larger part of your Instagram presence to model best behavior. Since less personal information is available, it may be harder for brands to identify potential influencers using third-party tools. Your brand cannot search for influencers by location, impression, or other factor. Many agencies are devastated by this change, because Instagram has been the pillar of influencer marketing — and they feel caught off-guard by the abrupt changes. Rather than rely on influencer identification tools to find potential matches in Instagram, use the Instagram website to drill down for hashtags that are relevant to your brand. See who posts often with those hashtags and evaluate the fit from there. Another good option is to look to other social networks to identify influencers. Twitter has a more open API, so it may be easier to find influencers via Twitter. Alternately, switch the third-party tools you use to look for influencers. As these changes demonstrate, consent is key. Social media tools that have user consent to share personal information as a prerequisite are not affected by these changes. If your agency uses a tool where Instagram users have given consent to share personal information, then you will still be able to access user names, locations, and other data points. Nurture the relationships with influencers that are already working with your brand. This is a good habit to adopt anyway, but since the changes make it tricker to find new influencers, it’s critical to appreciate the ones you have. As with any major change, your mindset affects your attitude and your actions. These sudden changes may seem shocking, and it’s natural to worry about how your brand will reach its audience on Instagram. When you understand the changes and where they’re coming from, you can shift your perspective away from crisis mode. Stepping back also gives you the space to come up with a clear plan of action, adjust your social media marketing strategy, and protect your brand’s reach with social media marketing. Think these changes might affect you? Book a demo to discuss specific ideas about how to overcome the effects of these changes.